Cube-style. Water-cooled. Self-contained condenser. 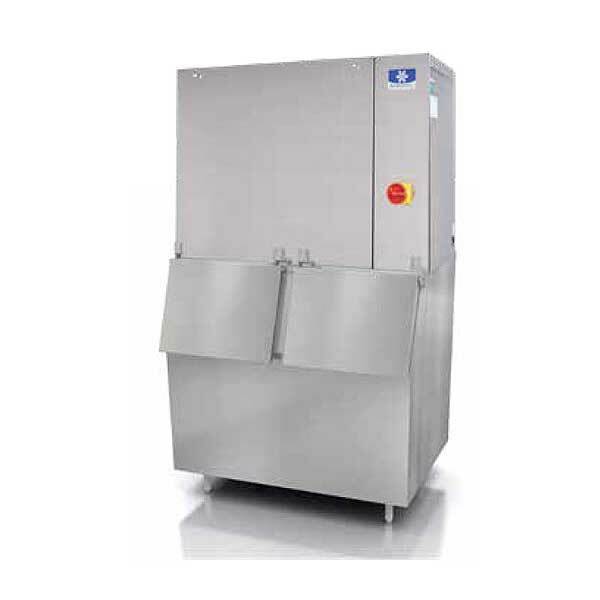 48"W x 23-1/2"D x 29-1/2"H. Production capacity up to 1930 lb/24 hours at 70°/50° (1670 lb AHRI certified at 90°/70°). Top utility access ports. Front mounted isolation switch. Removable front panel. Top & sides. DuraTech™ exterior. Half-dice size cubes. NSF. CULus. Dimensions (Inches): Width 48. Height: 29.5. Depth: 23.5.